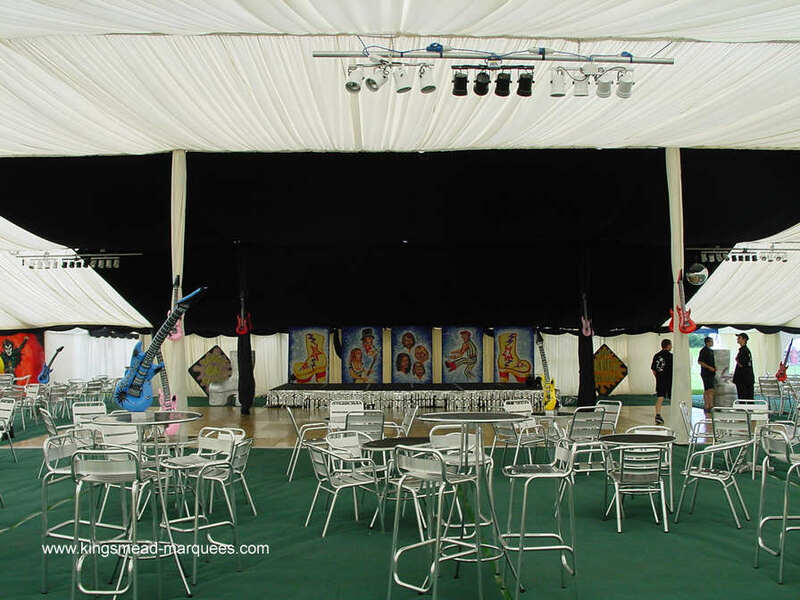 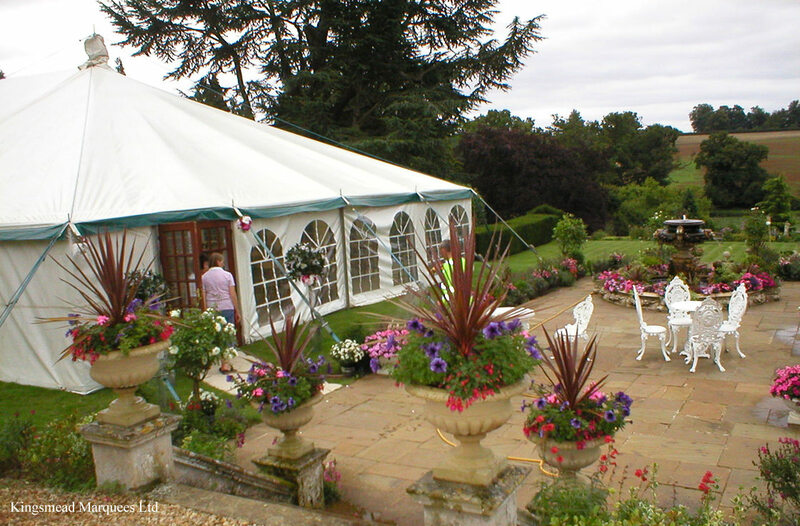 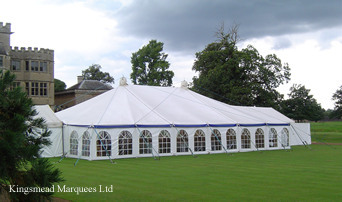 Traditional marquees have been available for many years and until the introduction of frame marquees were the only viable option for events. 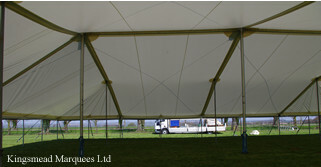 However, the fast erection times and lower cost of hire ensure their continued use. 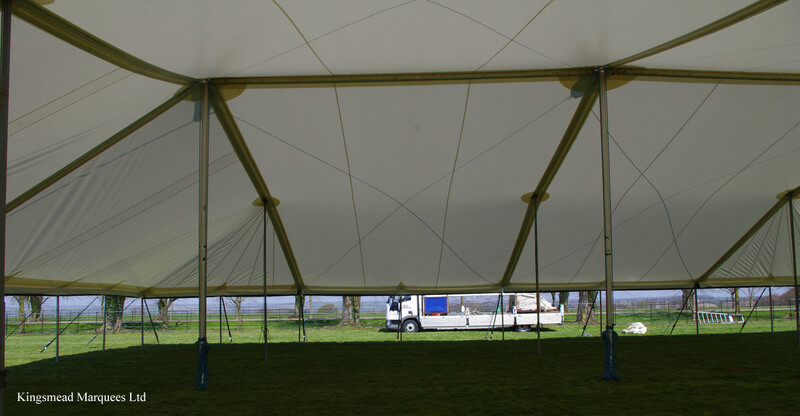 During an update of our large show marquees we decided to reinvent the pole marquee by introducing modern materials and new ideas, the result is our superb range of Semi-tensile marquees, ranging from 9.1m (30') wide up to 24.4m (80' wide) in any length. 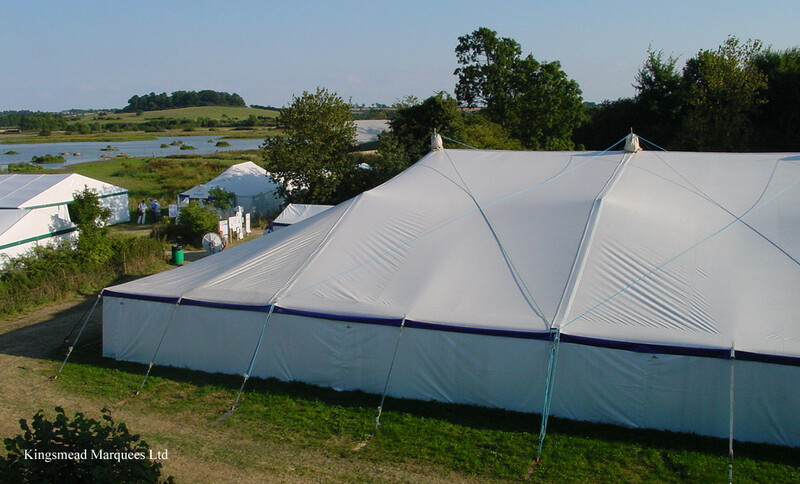 Can be fitted with all accessories including pleated linings, blackout & starlight linings, lighting systems, wooden floors, glass doors, windows & awnings. 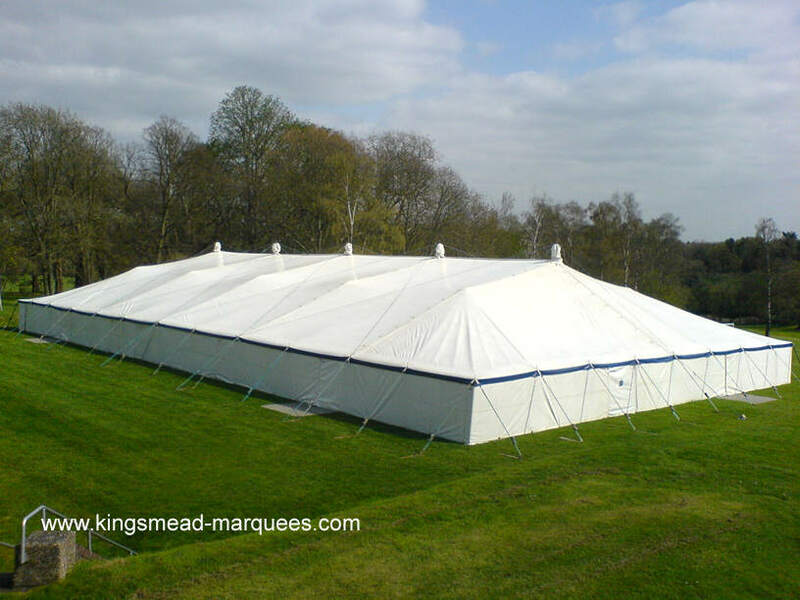 Roof shape more suitable for many setting's. 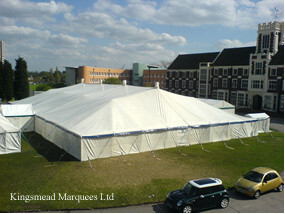 By far the most economical way to cover your event. The flared ends and curves of the roof are pleasing to the eye, especially in a country setting and have long been a favoured option for wedding marquees. 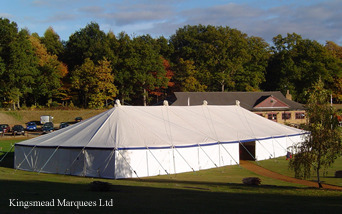 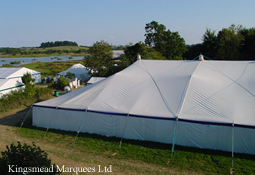 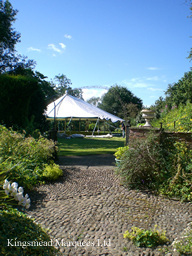 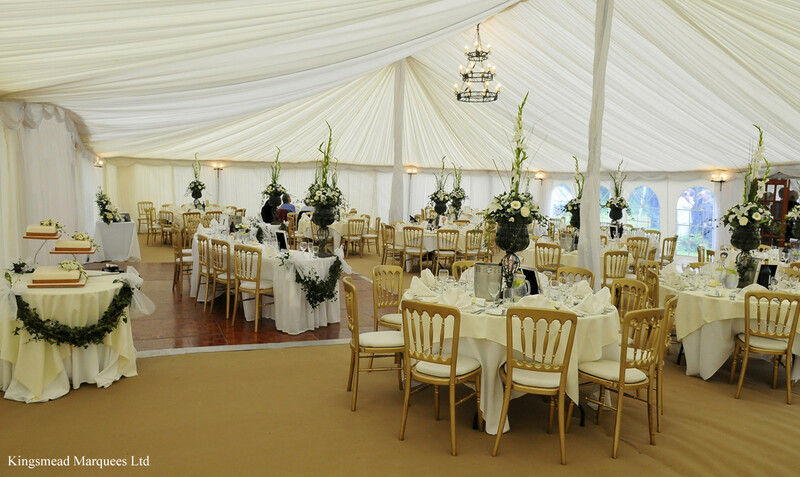 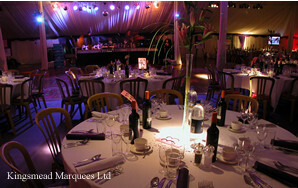 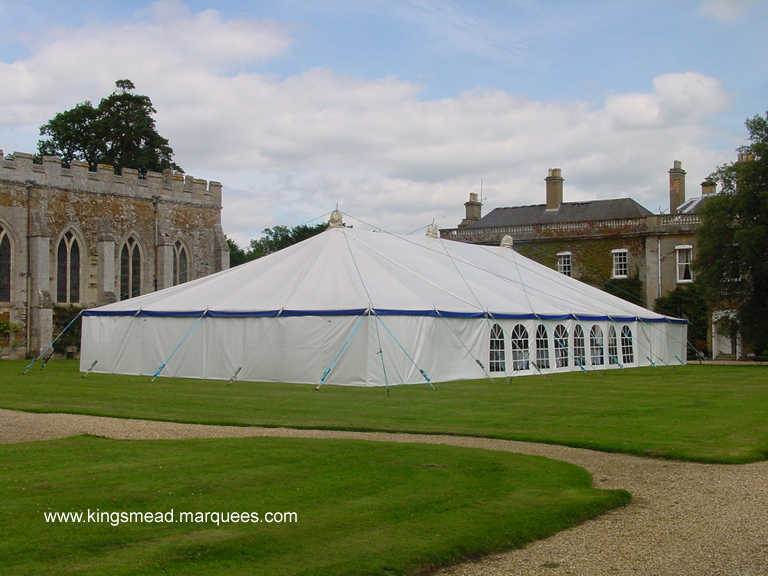 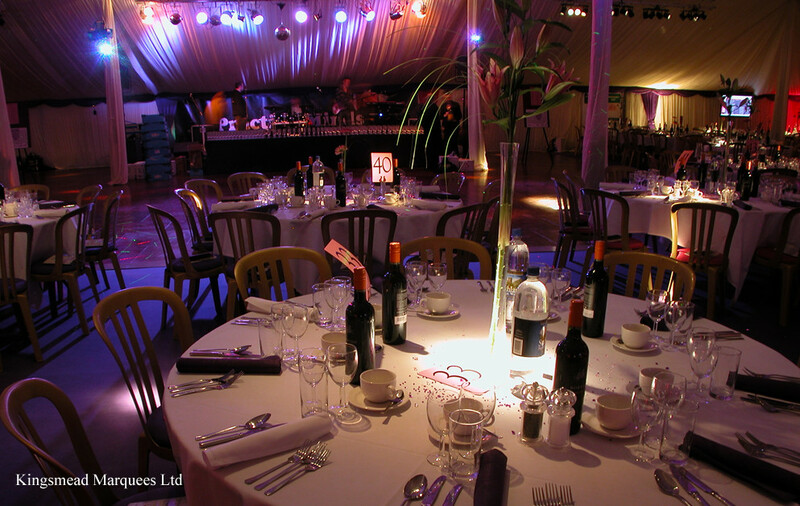 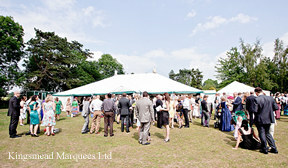 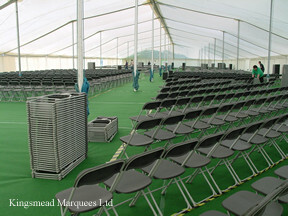 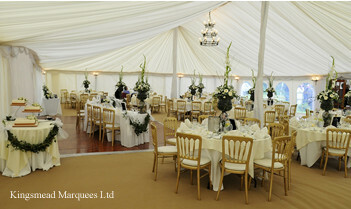 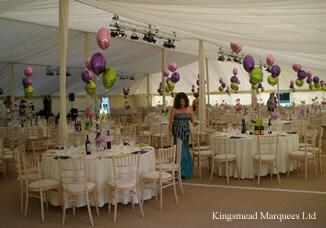 We stock a full range of linings for these marquees including flared lining ends that follow the roof shape. 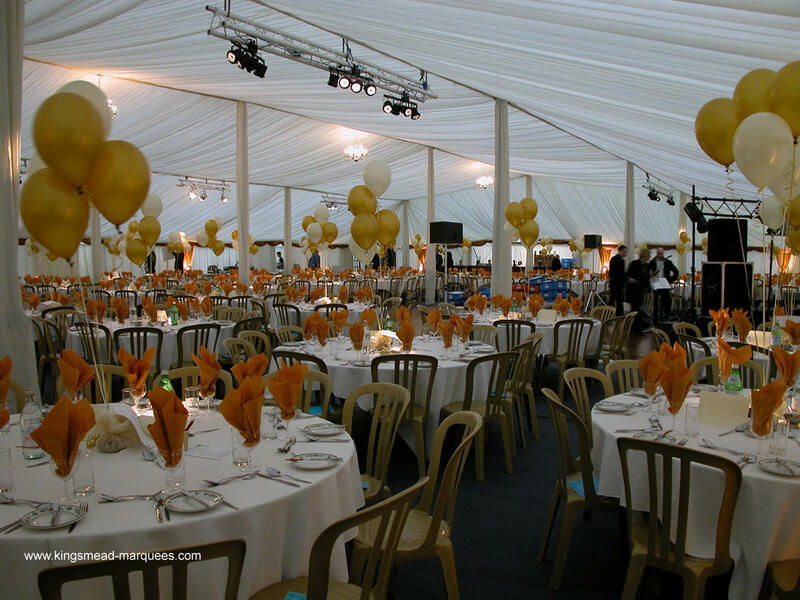 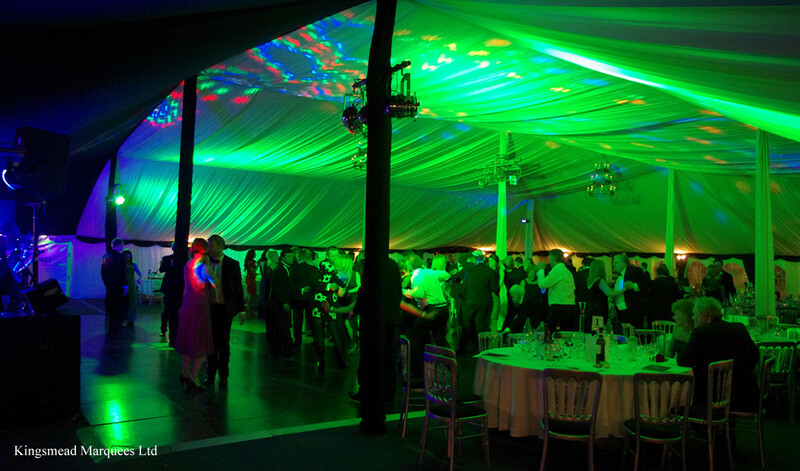 Every year a number of high profile functions are held in the larger semi - tensile marquees, the enormous capacity combined with the many interior options make them ideal for events at any time of the year. 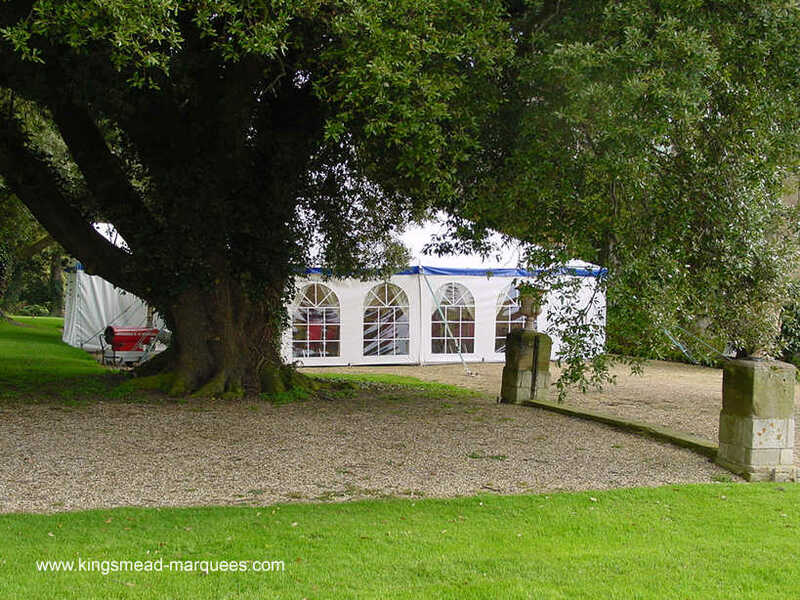 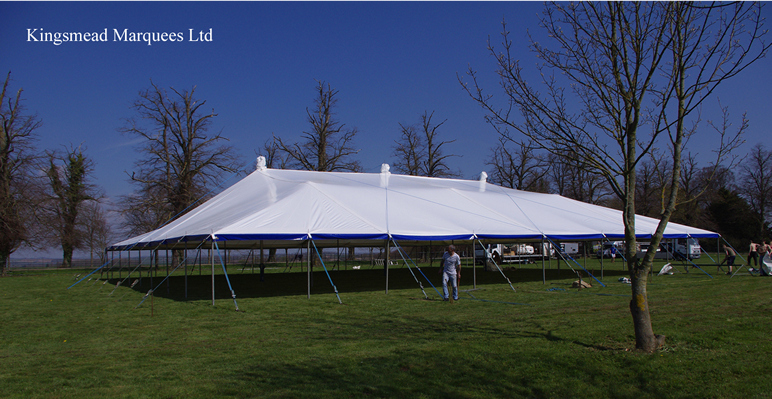 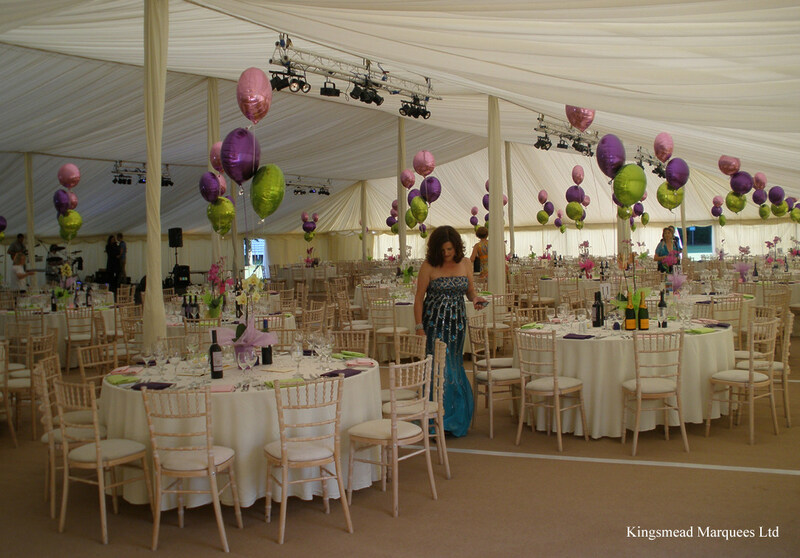 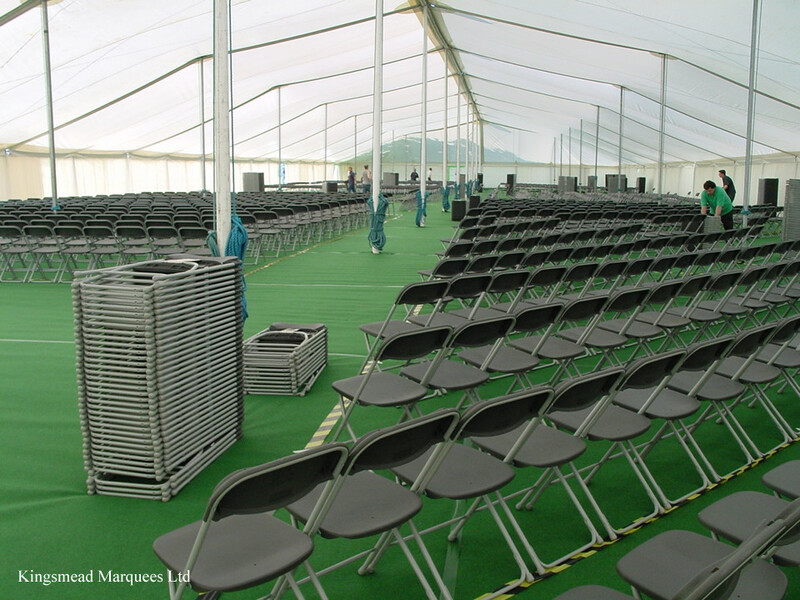 When large numbers need to be accommodated, event organisers know that this type of marquee can be erected quickly and with cost savings when compared to an equivalent sized frame marquee. 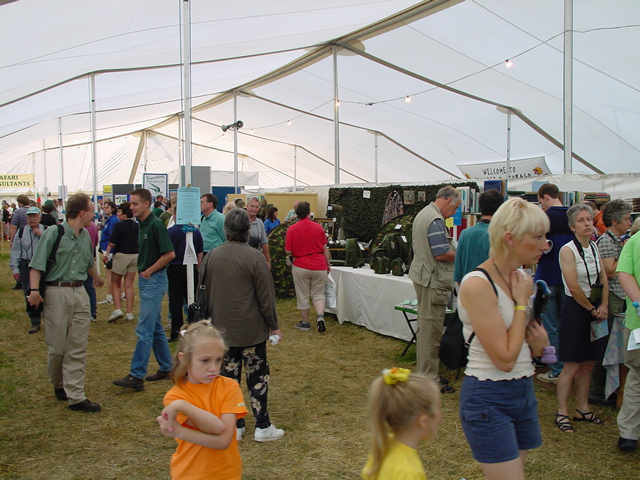 School speech days, shows, festivals and exhibitions are all popular uses for these marquees, with some major events having continuously requested them from us for over 20 years.